Trending at $10.39Trending price is based on prices over last 90 days. Trending at $7.25Trending price is based on prices over last 90 days. 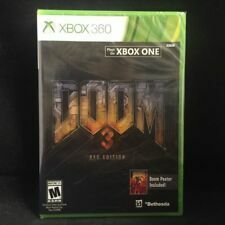 DOOM 3 BFG EDITION...XBOX 360...***SEALED***BRAND NEW***!!!!!!! DOOM 3 Software 2 Discs CD-ROM PC Video Game EUC MINT!!! This page was last updated: 21-Apr 01:57. Number of bids and bid amounts may be slightly out of date. See each listing for international shipping options and costs.